(CBS/AP) HUDSON, Wis. - Aaron Schaffhausen, a Wisconsin man who killed his three daughters last year in an act of revenge against his ex-wife, was sentenced Monday to life in prison without the possibility of parole. 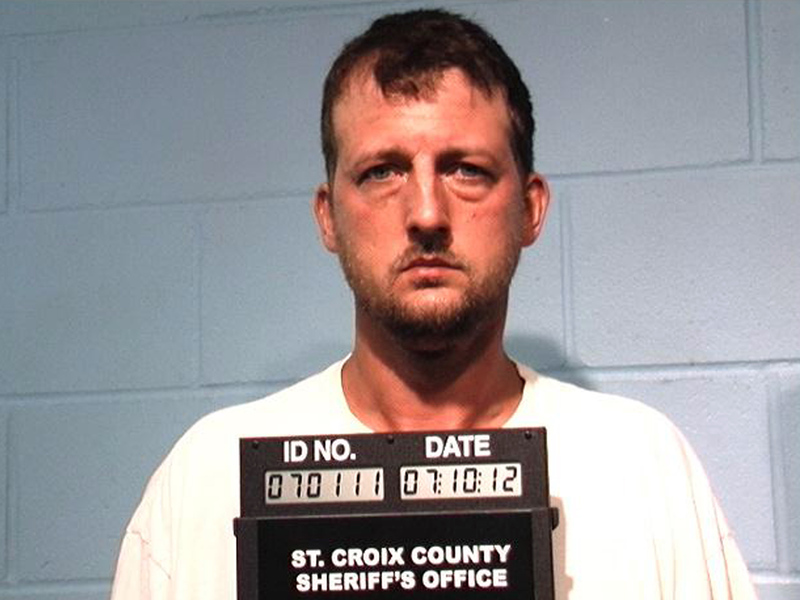 Schaffhausen, 35, had admitted he killed 11-year-old Amara, 8-year-old Sophie and 5-year-old Cecilia at their River Falls home in July 2012 to hurt his ex-wife, but argued he had a mental defect that kept him from knowing it was wrong. A jury disagreed and found last April that he was sane when he slit the girls' throats, tucked them into bed, then tried to set the house on fire to cover his crime. He faced mandatory life sentences for each girl's death, but Schaffhausen had the prospect of supervised release after at least 20 years in prison. That was rejected by St. Croix County Circuit Judge Howard Cameron, who called the crime "vicious." Cameron said he chose three consecutive life sentences -- the maximum -- to protect the public and to send a message that "each child is so important." Evidence showed that Schaffhausen texted his ex-wife July 10, 2012, to ask for an unscheduled visit with the girls. She consented but said he had to leave before she got home. The girls' baby sitter told investigators the children were excited when he arrived, and the sitter left. He called his ex-wife, Jessica Schaffhausen, about two hours later, saying: "You can come home now, I killed the kids." Police arrived to find the girls lying in their beds, their throats slit and blankets pulled up to their necks. White T-shirts were tied around their necks. Cecilia's body also showed signs of strangulation. As he did throughout his trial, Aaron Schaffhausen sat impassively as family members read their statements. Jessica Schaffhausen's sister, Mary Elizabeth Stotz, described Aaron Schaffhausen as "the darkness, the boogeyman" that every child fears. "He took their unconditional love for him and used that love to lure them to get close enough" then killed them, Stotz said. "Their last memory was what an evil killer their dad was." Eryn Schlotte, the girls' cousin, said: "I thought the world was a better place than this. Not a place where someone got killed before they were even in kindergarten or middle school." While family members wiped their eyes, lead prosecutor Gary Freyberg argued for the maximum sentence, saying Schaffhausen used the girls "as pawns ... to make Jessica suffer." "How wrong is it to use his intellect, his size and his brute strength not to protect his children from danger, but to become the most dangerous person in the world to them?" he said. Schaffhausen's father, Roger, said his son had a mental illness and, to some degree, everyone was responsible for not getting him the help he needed. His mother said he was a good man who did a horrible thing. Defense attorney John Kucinski told the court that Schaffhausen killed his kids because he was mentally ill, not for revenge. "A rational, sane person cannot take the girls he loves and kill them," Kucinski said. After the hearing, he said mental illness should have been a mitigating factor. "Everybody loses," Kucinski said, noting he plans to appeal. Trial testimony showed that in the months leading up to the killings, Schaffhausen told several people he had thoughts of killing his daughters. His ex-wife testified that in March 2012, he called her from Minot, N.D. -- where he was working -- and told her he "wanted to drive down there and tie me up and make me pick which child he killed and make me watch while he killed them." He also called his ex-wife repeatedly, sometimes up to 30 times a day, and threatened to kill the man she was dating. Jessica Schaffhausen didn't testify at trial or make a statement during his sentencing. Carrie Leveille, a friend of Jessica Schaffhausen's, said the family is working on healing. "Today we can go home with relief and take the next step forward, knowing that justice has been served to the best that it could be," she said. Schaffhausen told CBS Minnesota last month that she does what she can to get through each day. "The thing that helps me is just to remember there is so much more love than there is anything bad," Shaffhausen said. "The girls would want me to keep going, and so I try to do that as best I can."